As our society grows and resource consumption becomes an increasing problem, we are all looking for ways to minimize our impact on our environment and the world around us. One option that is growing in popularity is solar power. Why you would go solar has both cost and environmental benefits, with so much information on solar energy we have devised a simple set of solar energy facts and questions that we commonly get asked when installing a solar system from questions on solar energy to questions about solar panels. How do I convert my home or business to solar power? What is a building integrated photovoltaic product? Will Solar keep my lights on in a blackout? Will my solar panel blow away in a high wind? Our sun is our endless energy source. With solar power generated using solar panels, we can harness the natural power of our sun to provide free, low-cost energy with very little impact on the world around us. Solar power can also be used to heat your home or create hot water using thermal conductive units. 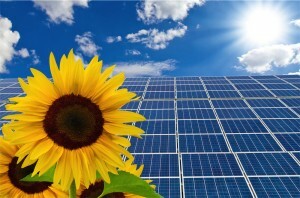 Solar panels work using the radiation from our sun to create natural, clean, sustainable energy. 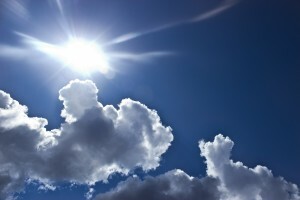 Using photovoltaic cells to create electricity when exposed to daylight, solar panels will work best in full sun, but still produce power at a reduced rate on cloudy days. Photovoltaic solar panels work by using the solar radiation to activate the conductive elements in the array, causing electrons to move across the unit and create electricity that is then channeled into an inverter and battery bank. From there, your home uses the power generated by your solar panels during the day, stores some for later use a needed, or even sells the excess back to your local utility company in exchange for a credit on the energy consumed by your home at night. A photovoltaic array is a system of connected photovoltaic cells, also know as a solar panel. Photovoltaic cells are composed of a semi-conductive substrate such as silicon (glass), impregnated with highly-conductive phosphorus and boron. When exposed to daylight, the conductive elements activate electrons to move across the array, creating electricity, which is then siphoned off and converted into safe, clean power for your home or business. 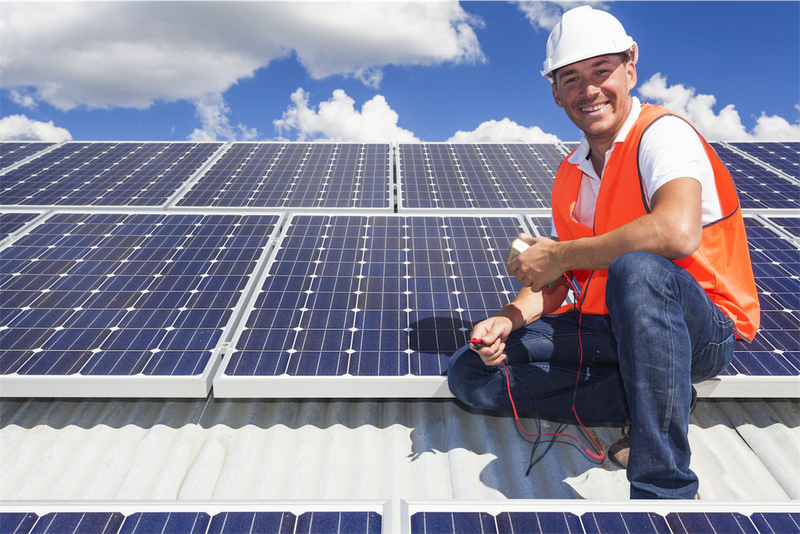 Solar power is a clean, reliable source of energy for your home or business. Installing solar panels on your home or business can be a costly investment, but the price of installation can be recouped in as little as a year and a half in some regions, and from that moment on the possibilities are endless. In over a hundred countries worldwide it is possible to drastically reduce your grid utility consumption through the installation of PV panels, and further reduce the cost of your energy bill through net metering or feed-in tariffs. Using Solar Power can reduce or even eliminate your reliance on fossil fuels and other environmentally detrimental energy sources, and some governments choose to recognize this by granting tax credits to individuals and businesses that convert to solar power. How to Convert my House or Business to Solar? 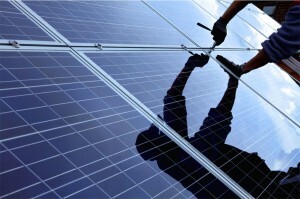 Converting your home or business to solar power is easy! It can be as simple and unobtrusive as installing a single panel on your roof, or as complex as installing a bank of solar tiles on the roof of a house during construction. There are a variety of ready-to-install solar products on the market today for converting an existing home or business, as well as a large number of building integrated photovoltaic products designed to be used in new construction. There are a number of exciting new advances quickly becoming available to expand the array of building integrated photovoltaic products available in the near future to consumers and governments worldwide. A Building integrated Photovoltaic (BIPV) product is a solar power component designed to be built into a new construction. There are a wide and exciting array of these products available, taking such forms as windows, roof tiles, and photovoltaic wall panels. Some companies are even looking into the technology needed to create photovoltaic highways and driveways, though these are still primarily in the development and testing phase at the current moment. How Long Do Solar Panel Last? Because most solar panels are built to last, you can expect your solar array to last more than forty years before your PV panels will need replacement. With only minimal care and maintenance, your investment will last a lifetime, providing electrical assurance and adding value to your home. Will Solar Power Keep My Lights On in a Blackout? There are a variety of solar power systems to suit a variety of needs. Provided you have a battery backup bank connected to your solar array and inverter, your solar panels can provide you with electricity if the local utility company can’t. 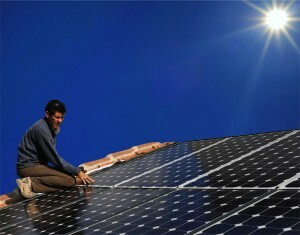 Many solar panel systems are required to have anti-islanding protection which shuts them down in the event of a power outage to avoid sending current through a line that may be under repair by workers, but with the correct solar panel services and setup you can provide your home or business with clean, reliable energy at the flip of a switch. Will My Solar Panel Blow Away in High Wind? No. Provided your solar array has been properly installed, there is no danger of it being blown away or damaged by inclement weather. While a falling tree-branch could potentially damage your array, the panels available on the market today have been thoroughly engineered to withstand high winds and heavy rain. 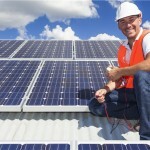 For more solar FAQs visit our blog for latest solar energy news and updates in Australia.